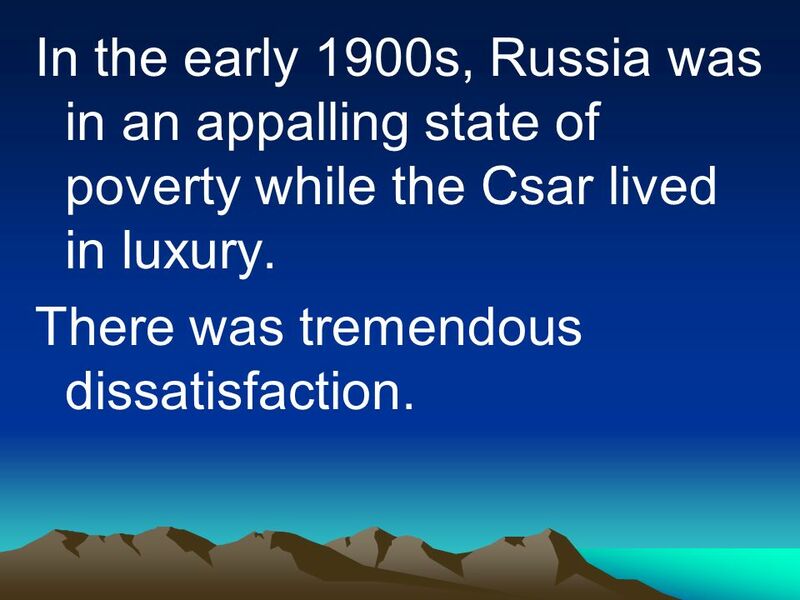 2 In the early 1900s, Russia was in an appalling state of poverty while the Csar lived in luxury. 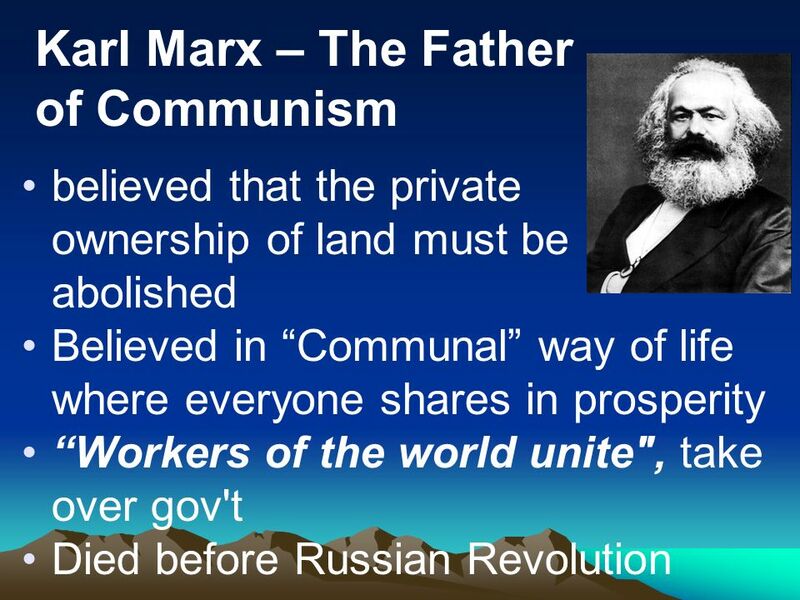 believed that the private ownership of land must be abolished Believed in “Communal” way of life where everyone shares in prosperity “Workers of the world unite", take over gov't Died before Russian Revolution Marx's criticism focused on the dominant political and economic system of his time, known as "capitalism." 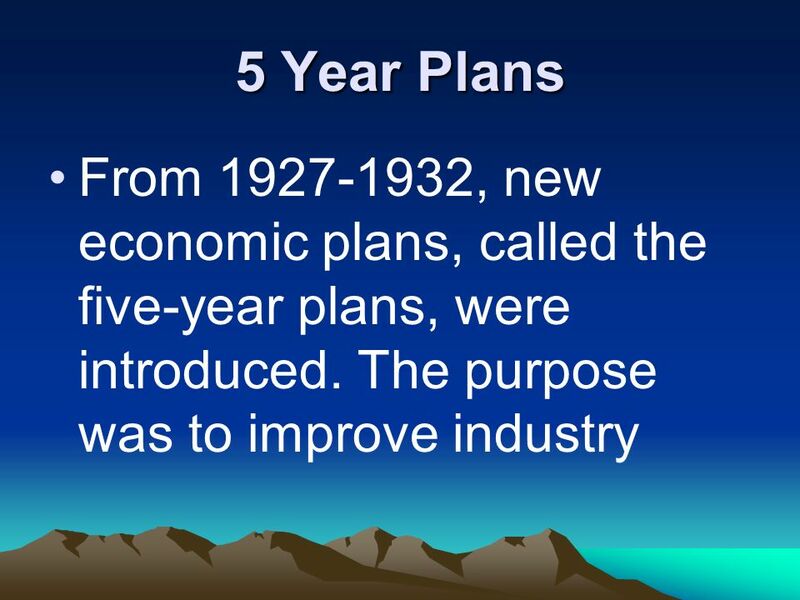 Germany, the United States, and England were powerful nations that lived under this system, and they were exporting it--sometimes by force--over the face of the globe. 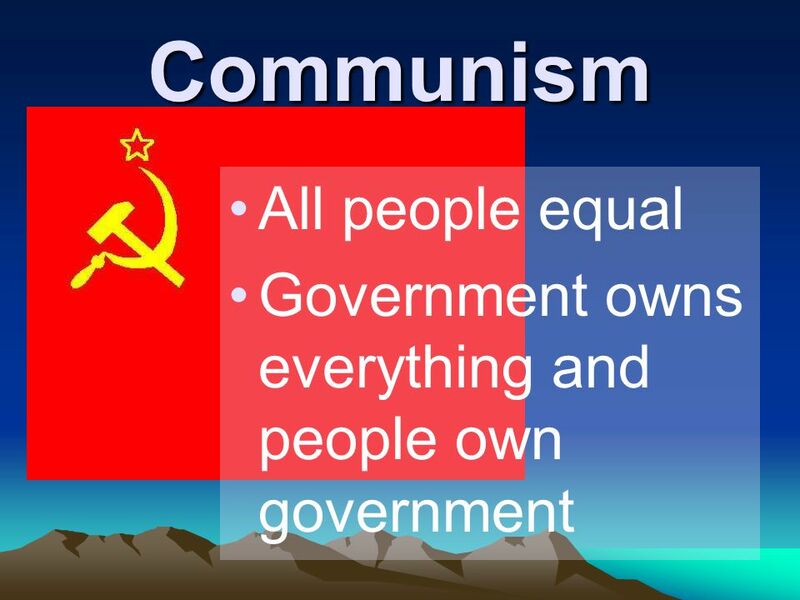 Capitalism encourages competition between its citizens, and provides rewards in an unequal way. Capitalist nations defended this distribution of goods on the grounds that the factory owners had often taken risks, or mastered skills, that the meat-packer had not. 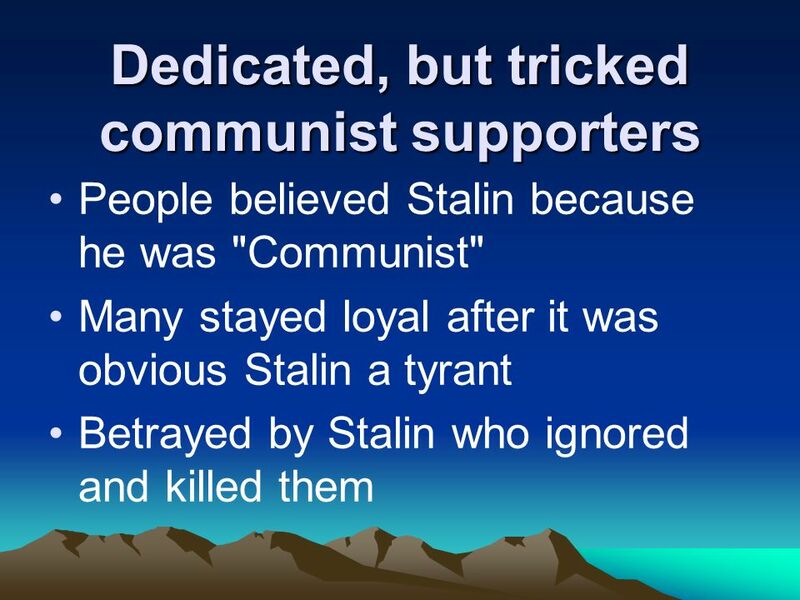 Therefore, the factory owner deserved the extra benefits The capitalist nations, he argued, allowed the wealthy few to amass huge fortunes, while the numerous poor toiled in unsafe factories for low wages, lived in wretched filth, and died before their time. Worse still, the rich denied equal opportunity to the poor, hoarding goods and reserving advantages like education and health care for themselves. Vast mansions existed alongside tenement-houses; in the one, every possible luxury could be found and every need was met, while next door whole families stuffed themselves into single rooms and ate meager rations. How could it be fair that the wealthy few had extra millions in the bank, while the masses struggled to survive, or starved to death? Marx spoke of the dawning of a new social order based on the equal distribution of wealth and possessions among a nation's citizenry. 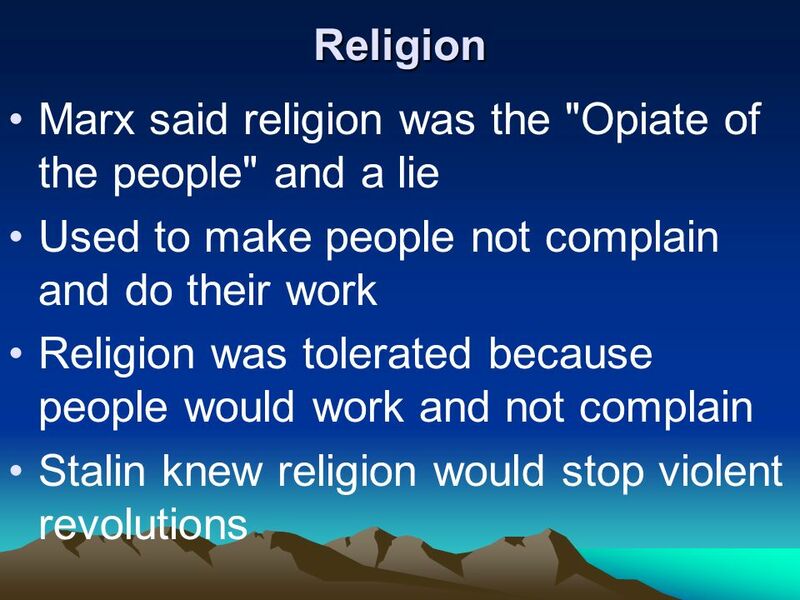 In such a society, Marx theorized, tranquil relations would prevail between all men and women, and age-old problems like poverty, ignorance, and starvation would vanish. The rich would be compelled to yield their surplus to the poor, and individuals would produce according to their abilities, and consume according to their needs. 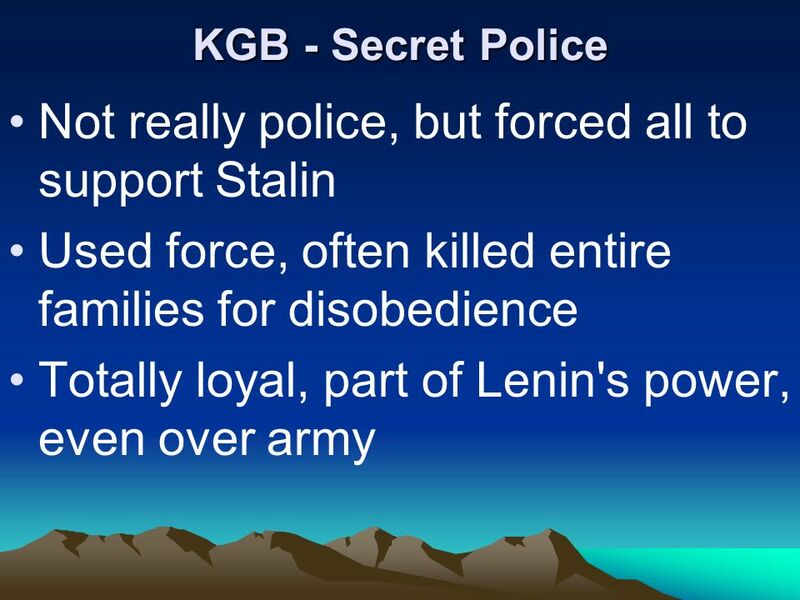 Everyone would have what they needed, and no one citizen would possess more than another. Casting his eye back across the arc of history, he asserted that in every era the same fundamental conflict emerged: The few well-placed and powerful sought to maintain their wealth by actively suppressing the natural desires of the many poor. 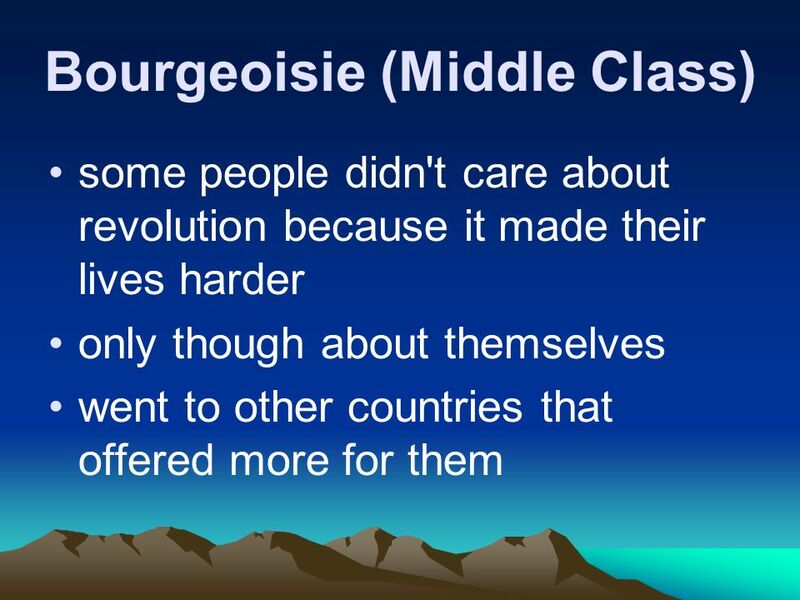 These cruel circumstances were hard to change because the rich had no reason to share, and possessed the means by which to control the impoverished masses. The sheer numbers of the downtrodden represented a definitive advantage, however, and a declaration of war on their part would resolve the dispute. Marx took the view that it was the destiny of history itself that this battle should take place, and that the victorious poor would usher in an age of justice and equality. 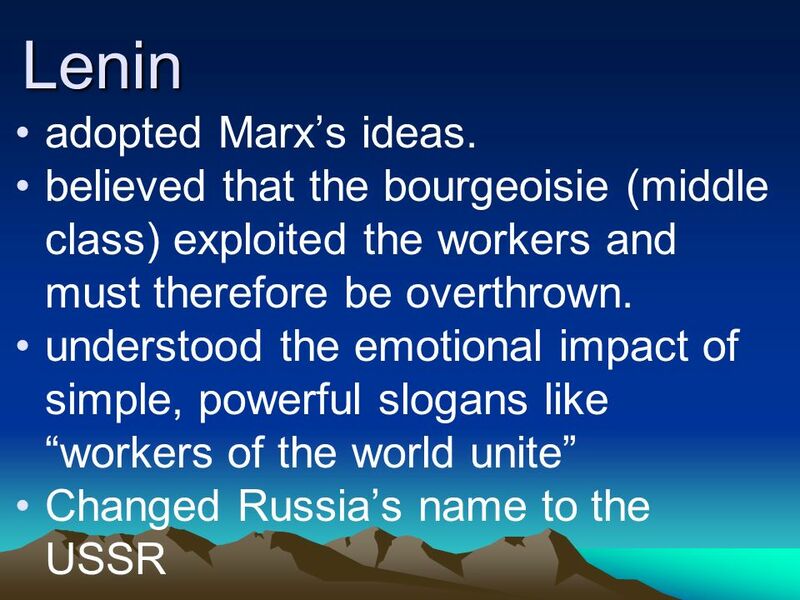 6 Lenin adopted Marx’s ideas. 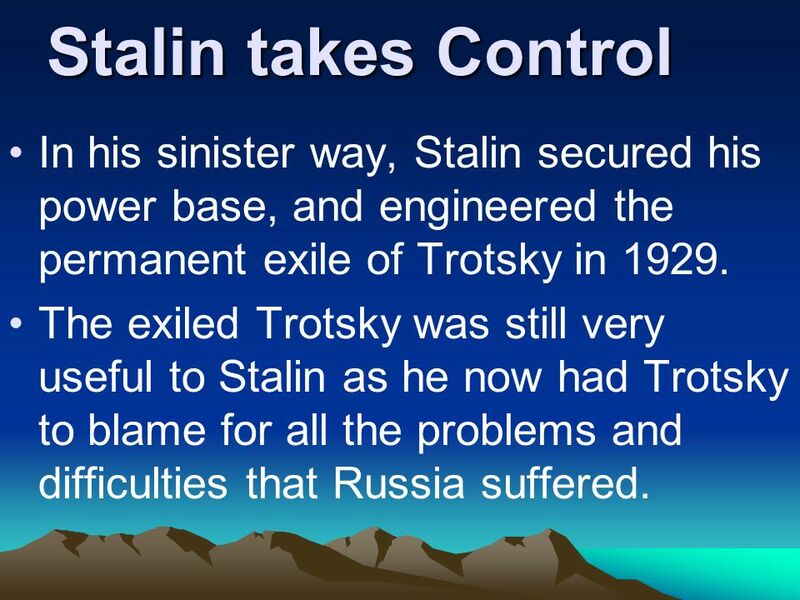 17 Stalin takes Control In his sinister way, Stalin secured his power base, and engineered the permanent exile of Trotsky in 1929. 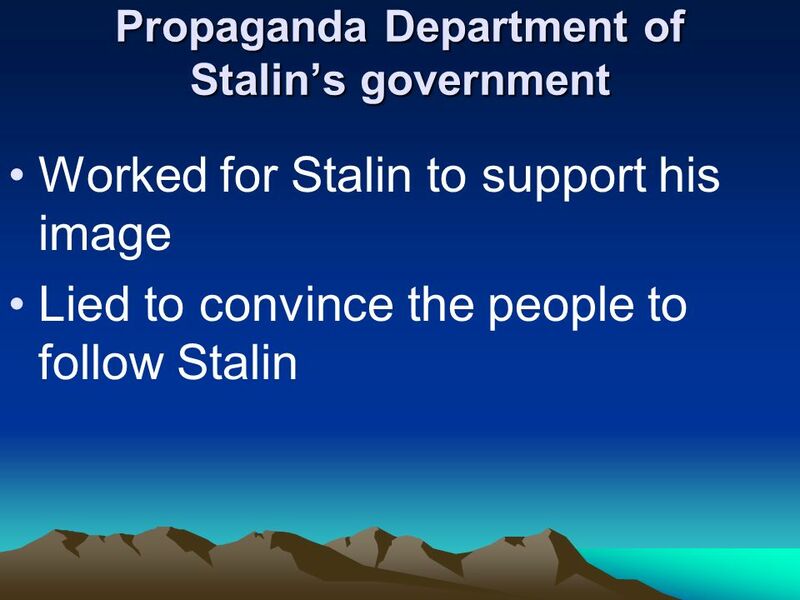 The exiled Trotsky was still very useful to Stalin as he now had Trotsky to blame for all the problems and difficulties that Russia suffered. 19 What does any of this have to do with Animal Farm? 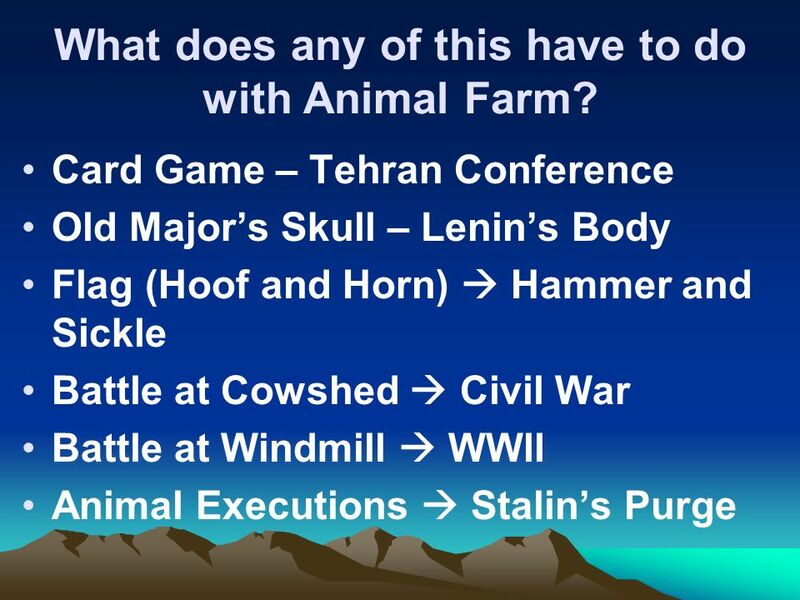 20 What does any of this have to do with Animal Farm? 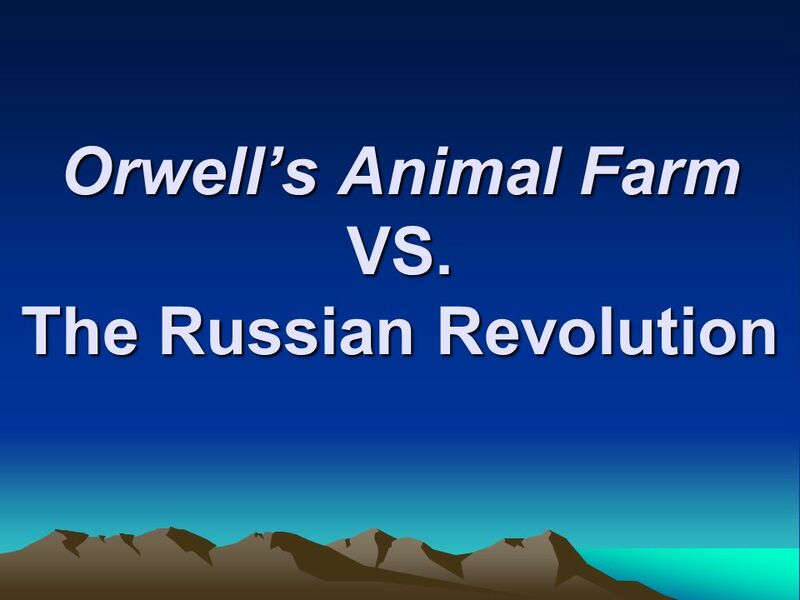 Download ppt "Orwell’s Animal Farm VS. 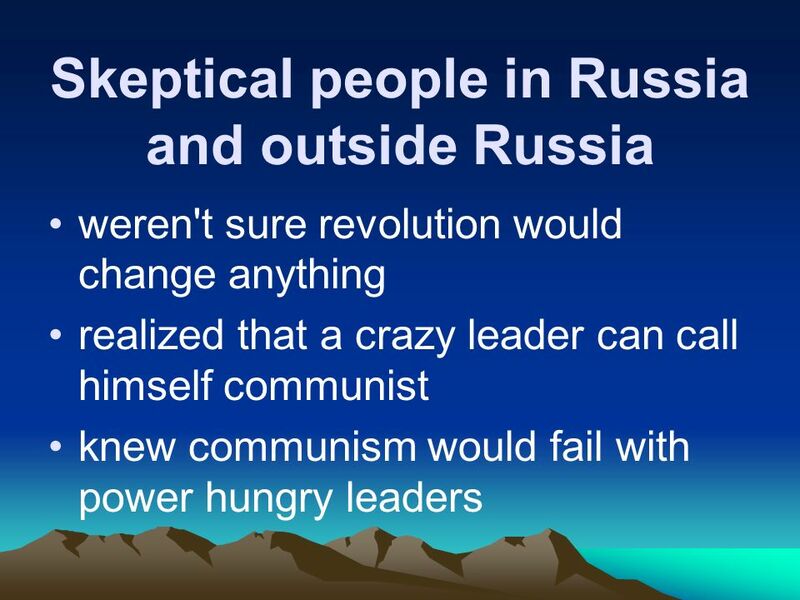 The Russian Revolution"
PURPOSE: TO MAKE LIFE BETTER FOR ALL LLife was worse at the end TThe leaders became the same as, or worse than, the other farmers (humans) they rebelled. 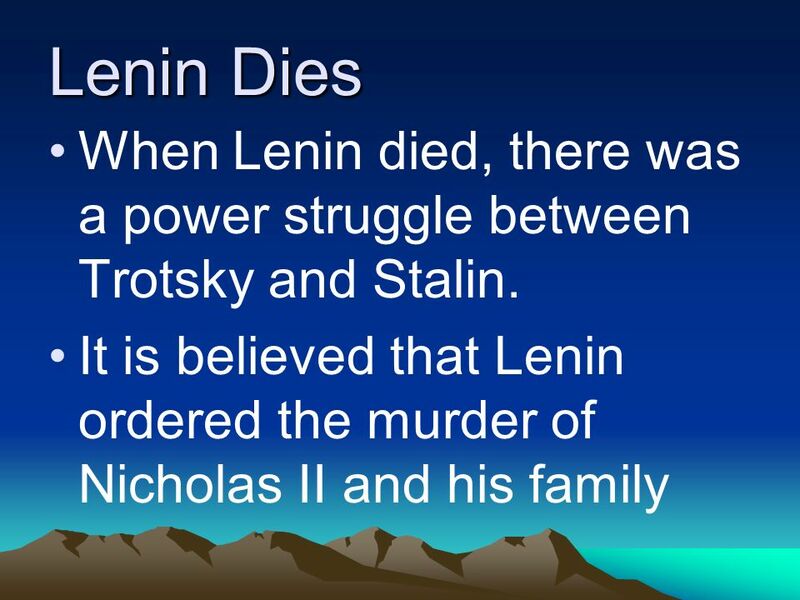 Mr. Violanti / Mrs. VerniSpring, Bolsehvik: Group led by Lenin. 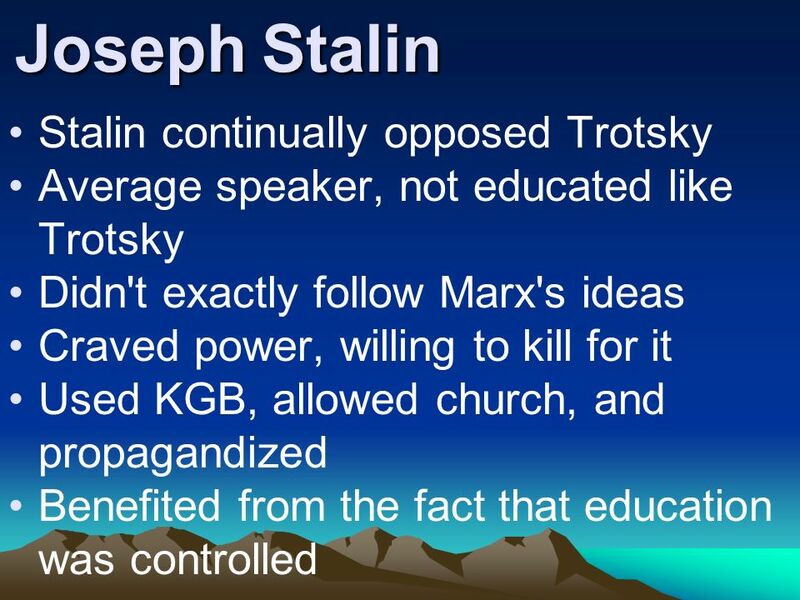 Wanted Communism to rule Russia. Head of Revolution. 2. Censorship: government. Animal Farm. 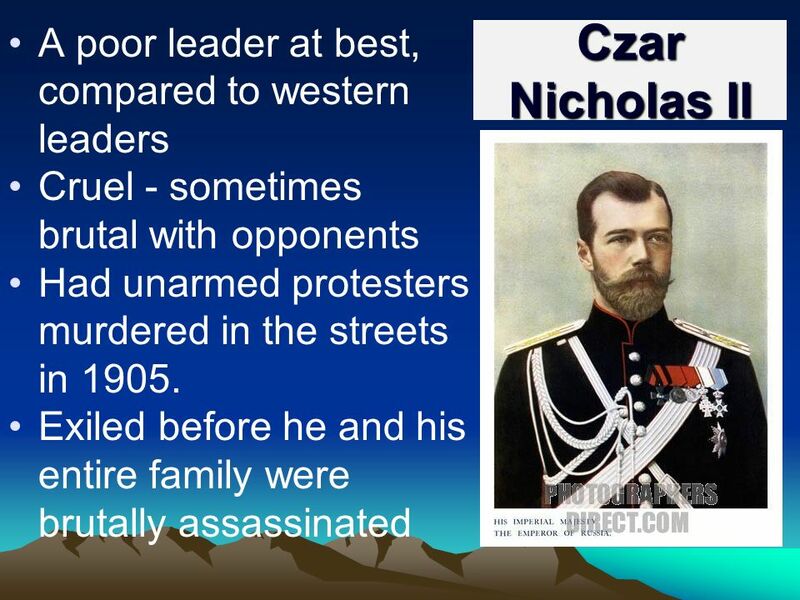 Russian Revolution How It Started o Czar Nicolas II o Absolute power o Huge social gulf between the peasants and the land owner and the elite. Homework Reading about Mussolini Answer all questions DO IT! 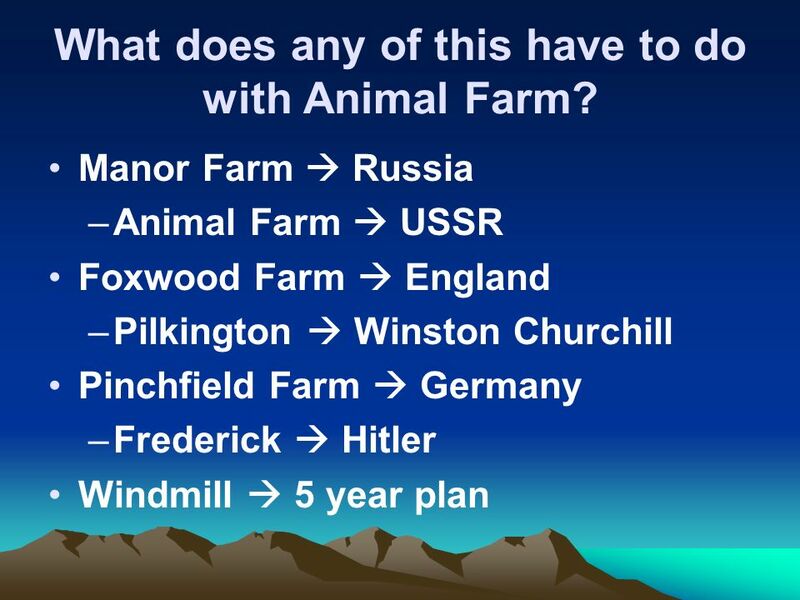 Orwell’s Animal Farm VS. The Russian Revolution Mr. White. 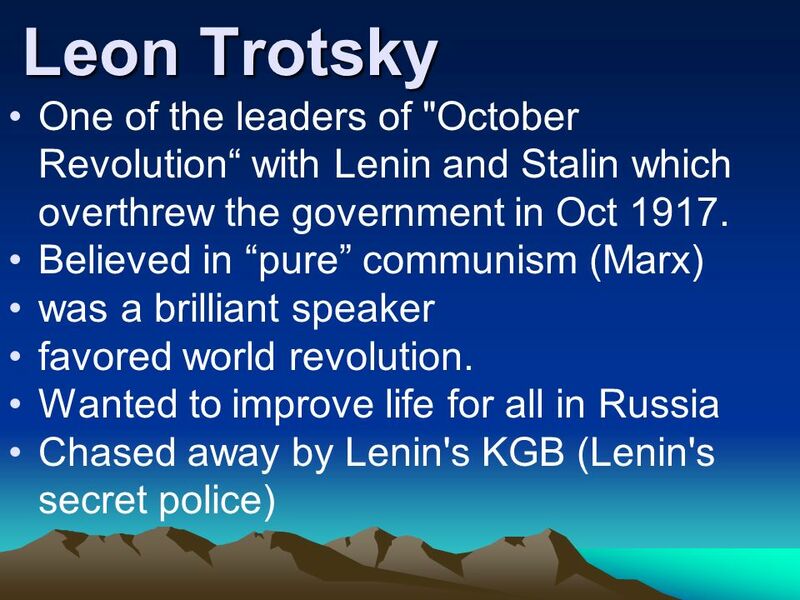 Russian Revolution 1917 Russia becomes a Communist State. Animal Farm by George Orwell. George Orwell Eric Arthur Blair Lived in India as a young boy and began writing at an early age Fought in Spanish Civil. 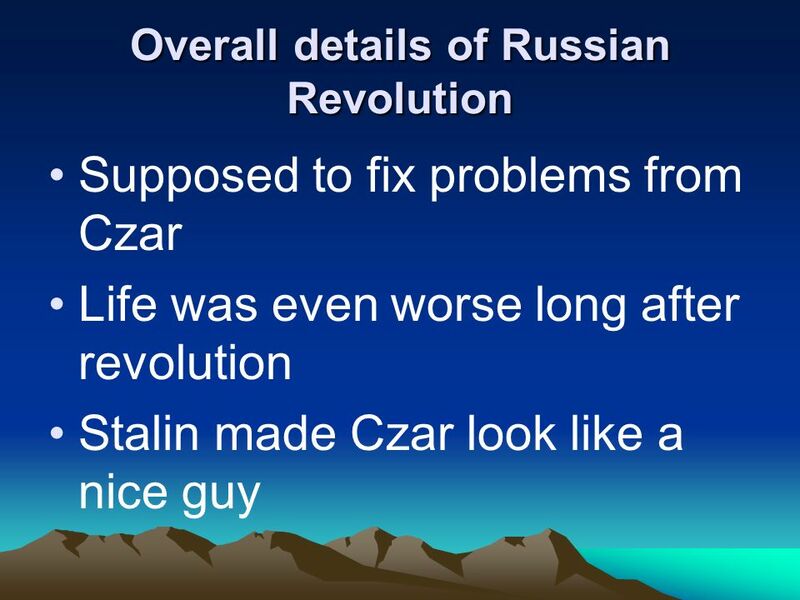 Animal Farm Historical Background The Russian Revolution.